BluGuitar GmbH Saarbruecken/ Germany, January 26th, 2018 (ictw) – At Winter NAMM 2018 in Anaheim, CA, at booth 3936, BluGuitar GmbH unveils the new AMP1 Mercury Edition, which will be available in the second half of 2018. 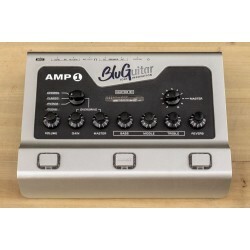 Since its launch in 2015, the BluGuitar AMP1 has become hugely popular, setting a new standard in the industry for guitar amplifiers with the innovative and exciting "pedal amp" format. 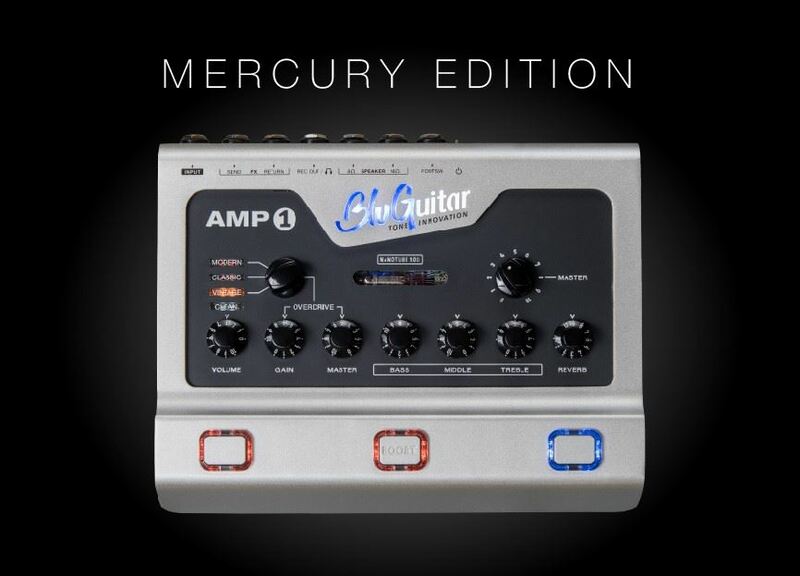 After 3 years of AMP1 being on the market, BluGuitar company owner Thomas Blug’s constant tweaking and researching, using his own gigging experience as well as feedback from users around the world, is coming together in the new, revised version of the unit: the AMP1 Mercury Edition. Thomas’s modifications recreate those ‘holy grail’ tones even more deeply than before. 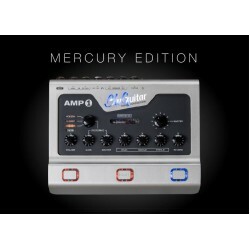 The BluGuitar AMP1 Mercury Edition with its 100 watts “Nanotube” driven power amp will maintain all of the features of the well-established original AMP1, but specific tonal improvements now offer more clarity and voice for both single coils and humbuckers, leading to more flexibility, especially for modern players. Its beloved CLEAN channel delivers clean tones from classic American clean, breaking up nicely like a vintage tube amp when driven hard, right up to modern pristine, sparkling transparent clean tones for 7 string guitars. With the AMP1 Mercury Edition, there’s something new for both worlds: more warmth on the "tweed side" of the CLEAN channel’s very own Custom Control knob, and more clarity and definition on the Custom Control’s modern side. In summary, the revoiced BluGuitar AMP1 Mercury Edition gives you all the great tones you’re expecting from an AMP1 – now with even more flexibility than ever. 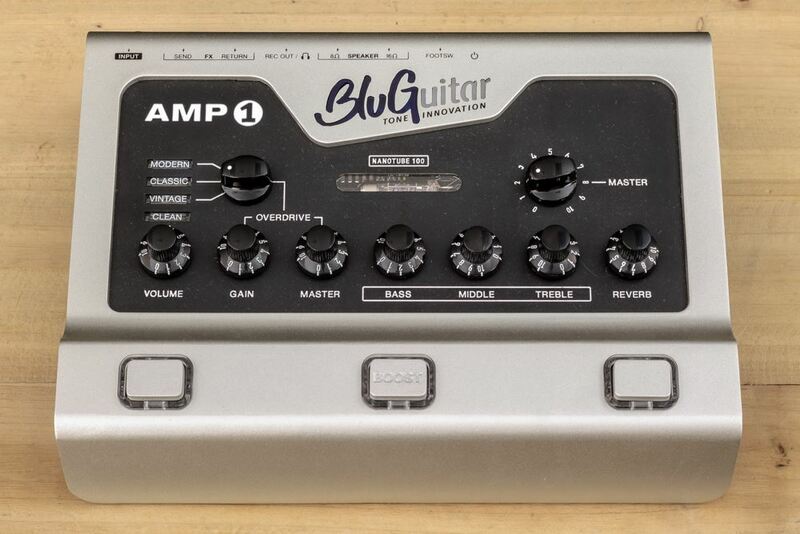 This “boutique to go” amp requires a “boutique to go” cabinet: the BluGuitar cabinet family of NANOCAB, FATCAB and the recently released, brand new TWINCAB bring the character of your favorite cabinets to you in a compact format.